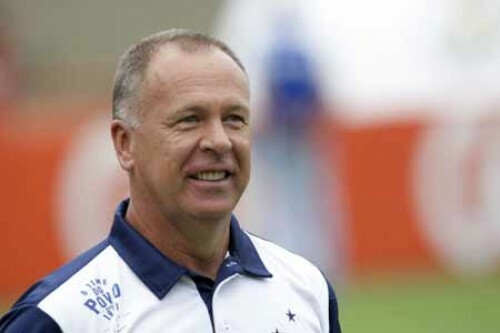 Rio de Janeiro, Oct 22 : Former Brazil national football team coach Mano Menezes has signed a deal to continue as coach of Cruzeiro until December 2019. The Belo Horizonte club beat off competition from reigning Brazilian Serie A champions Palmeiras, who offered Menezes a lucrative deal to join the Sao Paulo outfit next season. "He is a victorious coach and he is a part of our plans for the next few years, with a focus on winning the Copa Libertadores in the short term," Cruzeiro director of football Itair Machado said. Menezes, who coached Brazil from July 2010 to November 2012, joined Cruzeiro in July 2016, replacing former Portugal manager Paulo Bento. The 55-year-old guided Cruzeiro to victory over Flamengo in the Copa do Brasil final last month, earning them a berth in next year's Copa Libertadores, South America's top club competition. Cruzeiro are currently fifth in Brazil's 20-team Serie A standings with nine matches remaining in the season.